When Kelly called Choice Financial back in June, he didn’t want to talk to his wife, Mortgage Processor, Karla Janke, he wanted to talk to Insurance Manager, Jeanie Smestead and he wanted it to be a secret. 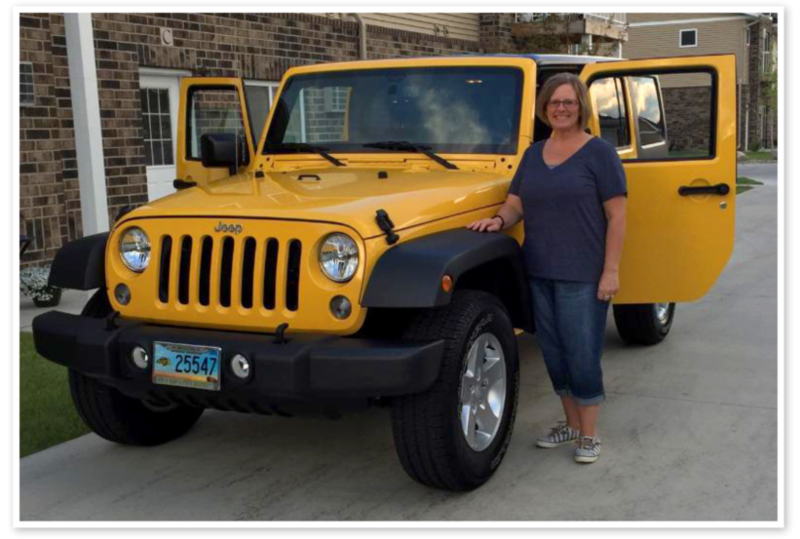 Karla’s birthday was coming up and Kelly told Jeanie that he wanted to surprise his wife with a new yellow Jeep, but since he was financing it through the bank where she worked, this was going to require some espionage. She accepted the challenge with gusto. 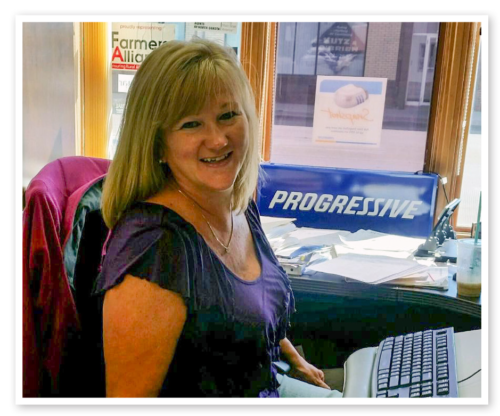 Jeanie was uniquely qualified for this, since she had helped many customers purchase cars over the years, and was very familiar with the process, the timing, and most importantly the notifications that occur along the way. So far, she and Kelly had worked together on his surprise through the approval process, and the purchase process without arousing Karla’s suspicion. The last step was to get the insurance in place, but they’d have to wait until the last minute for that, since Jeanie knew that an email to Karla would be triggered immediately once they requested the policy. The eve of Karla’s birthday finally arrived, and Jeanie waited until she was sure Karla was at home and it was after 5 to put the last piece of the birthday surprise puzzle in place. That way, the verification email would go to her work email, and she wouldn’t see it until after Kelly had surprised her with the Jeep.